There is no need to hide valuables in sturdy ugly boxes. This Camel Bone Inlaid Wooden Cash Box featuring vertical chips, round pattern edges and locking feature is an elegant and functional way to store cash, jewelry, important papers, keys and lots more. 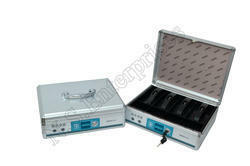 Being a most reliable organization, we are engaged in offering a wide range of Fancy Cash Box. Cash Box is specially designed for banks and ATM for transferring funds and for storing important documents. 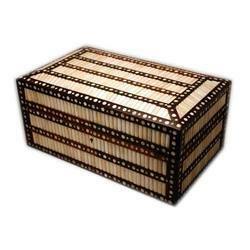 As an esteemed company, we are engaged in providing the broad spectrum of Fancy Cash Boxes. These boxes are available in various customized options, manufactured using the best quality material and the latest technology in adherence with universal norms. Provided range is highly acclaimed in the market for its remarkable features. Outer Finish - Wooden covered with decorative material. Shriparni cash box 5" The Shriparni Tree is a known as the kalpvruksha of a kaliyug. Shreepar..
Avail from us stylish range of Cabinets that are offered in different specifications fulfill the specified requirements of the clients. It is an attractive box, specially designed to attract the cosmic energy from space and convert it in to divine rays. Use: As a moneybox, ornament box etc. Its Corners are the symbols of peacefulness, seriousness, wisdom and truth. The uses of pyramid bring happiness and prosperity.